Does your ideal vacation prioritize art galleries and architecture over adventure? Would you rather sip cocktails than scale sand dunes? Does your travel itinerary look better with art deco-style buildings, museums and discos? Then Morocco is calling you. 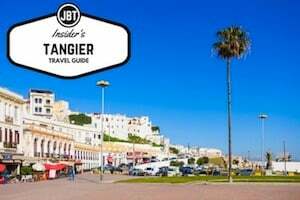 Travelers have long ignored Casablanca in favor of more exotic locales, but what the city lacks in Islamic monuments and labyrinthine souks, it makes up for in its dizzying nightlife, a burgeoning art scene and a hodgepodge of architectural styles. Casablanca’s inhabitants, known as Casablancais, are known for being more Western in their attitudes. You can find men and women together in restaurants and bars dressed up in the latest global trends. 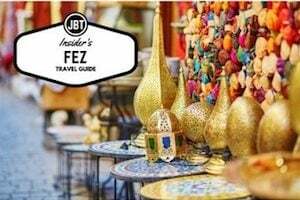 Morocco is known, of course, for its captivating marketplaces, full of twists and turns and treasures. As the country develops, it only makes sense for it to embrace the marketplace of the 21st century—the mega mall. Casablanca’s luxurious mall is a consumers’ paradise for well-to-do travelers and Moroccans looking for global brands. Inaugurated in 2011 with a Jennifer Lopez performance and the presence of the royal family, the Morocco Mall can be found just outside of Casablanca. Glitz was not spared in its construction. Outside, a musical fountain reminiscent of Las Vegas welcomes visitors with water jets. Though palm trees reach into soaring atriums, and a two-story aquarium ties in with the mall’s coastal location, the mall’s interior would not be out of place in worldwide locations from Vegas to Singapore. With three floors and more than 600 stores, the Morocco Mall aims to be a one-stop shopping destination for North Africa’s elite. 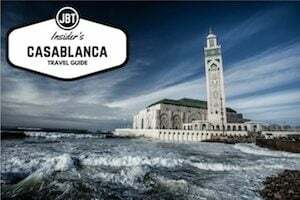 With a population of around three million, Casablanca in Morocco attracts visitors because of its fame (thanks to its namesake movie), attractions and international airport. 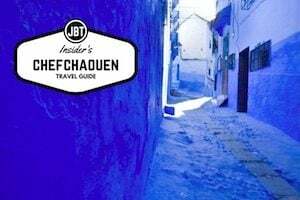 Although the city offers a wealth of culture, history and entertainment, some travelers like to escape the bustle with a detour off the beaten path. Say the name “Casablanca,” and, for most people, it will conjure to mind all the romance and swagger of the 1942 classic movie. Hollywood may know glamor, but the allure of Morocco’s largest city is not fixed in its history. Instead, it is the epicenter of Morocco’s 21st century economy. The Casablanca (see our Casablanca city guide on our Morocco blog and travel guide) of today isn’t the sleepy expat town of film fame (which was actually shot entirely on a studio lot in Los Angeles), and travelers should expect the bustle one would associate with North Africa’s largest port and an industrialized city of 3 million people. Founded in the seventh century by the Berbers, and it remained a small independent country known as Anfa, until the Almoravids conquered it in 1068. Merinids took over in the fourteenth century and she gained importance as port city. The Portuguese destroyed the city in 1468, Anfa had become a safe harbor for pirates and thieves. In 1515, the Portuguese came back and built a military fortress. A town was built up around the fortress that was known as Casabranca, Portuguese for “white house”. The name eventually became Casablanca, the Spanish word of the same meaning. An earthquake destroyed the city in 1755 and the Portuguese abandoned the area. Sultan Sidi Mohammed II, grandson of Ismail Moulay, rebuilt Casablanca during his reign from 1756-1790. In the 1800s, Casablanca’s economy and population started to grow. Morocco exported wool to England and imported tea. In the 1860s, approximately 5000 people made their home here. That number had doubled by the 1880s. After the French conquest, the population grew to 12,000, by 1906. With the influx of the French colonialists, the number went up to more than 100,000. Today the population is near the 4 million mark. Casablanca’s past has not always been rosy. After the French took over, they decided to build a railroad near the port. Unfortunately, it passed through a graveyard. Residents were incensed and attacked the French. France called in troops to restore order. Rioting against the French continued and was at its worst in 1940s and 50s. During World War II, the city was the host of the Casablanca Conference in 1943. A strategic port, it was used by the Americans as the staging area for aircraft that were used in Europe. The center of Casablanca, today, is big, clean and impressive. It looks nothing like the city of the popular movie of the same name. 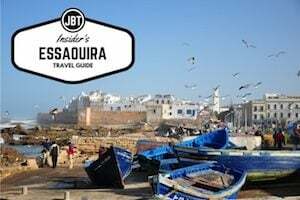 Casablanca has an old city area that is home to smaller dwellings, however, she does not have an ancient medina. 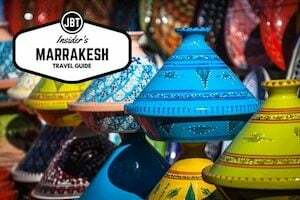 Casablanca is not the popular idea of what old Arabian cities should be like.. Casablanca does have some good markets in which to explore like other Moroccan cities. Casablanca shows her Muslim roots with the building of Hassan II Mosque. It was built on a promontory that overlooks the Atlantic Ocean. The mosque has a huge glass floor through which the Atlantic can be seen. Built in such a manner, the faithful pray over the ocean. More than 100,000 worshippers can pray here at one time. Designed by French architect, Michael Pinseau, it has the tallest minaret in the world at 210 meters. King Hassan II declared that the mosque should be built on water because the throne of God is on water. Funded by donations the mosque’s total cost is thought to be around the eight hundred billion mark. It took 2500 men, working around the clock to build this in a relatively short time. Hassan II Mosque shows the Moorish influence and the minaret has lights that are pointed toward Mecca. This mosque is one of the few open to non-Muslims.